Villagers of Weshi-II village now gets the drinking water after construction of a water storage tank which was inaugurated by MLA Mama Natung. 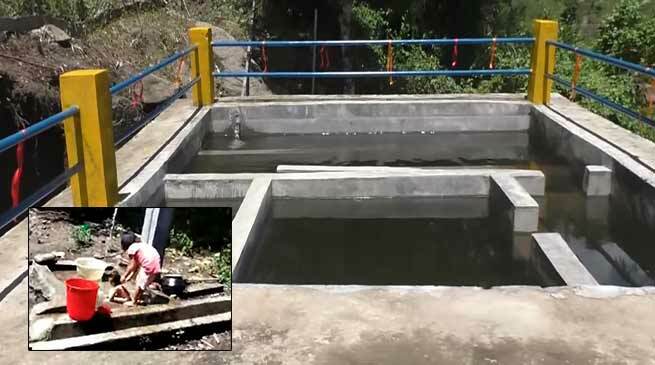 Hundreds of villagers of the Weshi-II Village under Seppa ( west) constituency of East Kameng district in the state still lack proper drinking water facility now gets drinking water after inauguration of Water Storage Tank (WST). MLA Mama Natung , who is much concerned about the health, education and road communication in his constituency in a village outreach programme inaugurated the WST and a community hall on Thursday. Natung told that, this village had earlier facing acute shortage of water, but now it has been solved. Natung contributed 15 lakhs from the construction of Concrete Cement steps. and also promised for establishment of a primary school as soon as possible.